Our Retro model, Unique 500 features a vintage design and classic paint job. 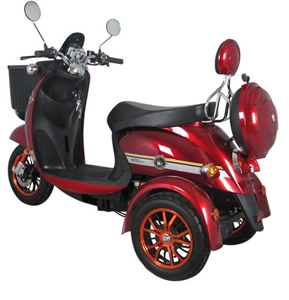 It has been designed specifically with your needs in mind and is equipped with a strong 500W motor and a very long running range of 45 miles per charge. Its dashing performance reaches a top speed of 15 mph (EU). Our Retro model is sure to turn heads and bring back memories. 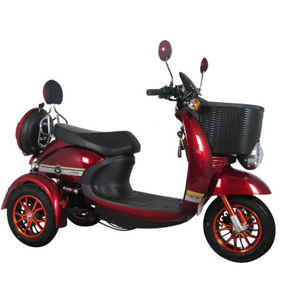 It includes features such as retro style headlights, dual hand brakes, rear view mirrors, a padded seat and footrest inserted for your comfort. 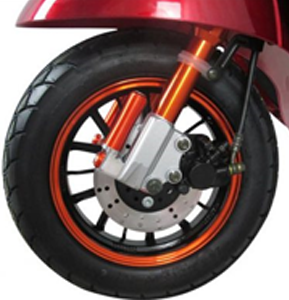 Our Retro models front and rear suspension will ensure you enjoy a smooth ride.